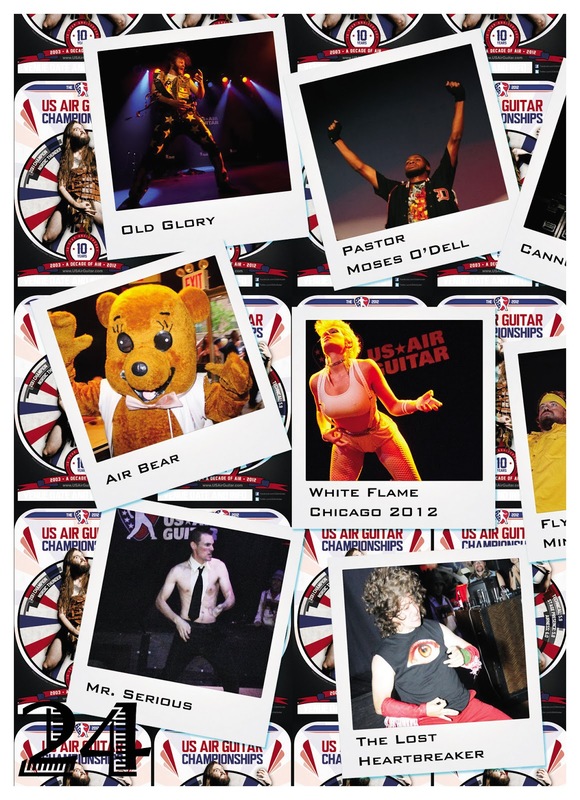 In drawing this series to a close with the final set of images, it must be said that much deliberation was made in deciding which of the many wonderful people in the air guitar community were selected for the project. 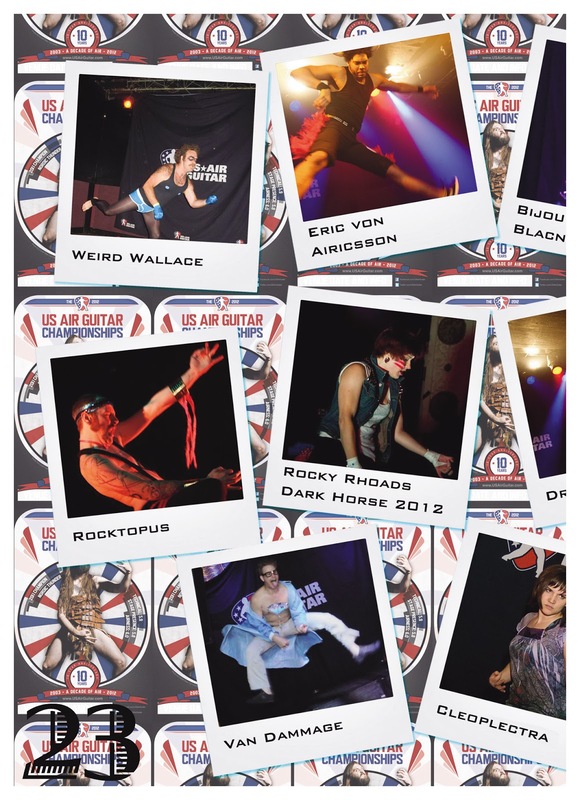 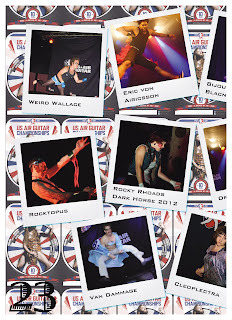 First and foremost were the Air Guitar World Champions, USAG Hall of Fame inductees and recent Nationals finalists , followed by perennial contenders, tournament mainstays and rising stars, then rounded out with those who could represent the diverse characters that this annual event has attracted over the years. 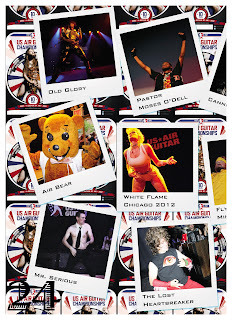 Regretfully, some were not included due to various reasons and ultimately this outcome feels satisfactory in showcasing a respectful range of air guitarists who earned and deserve more exposure. 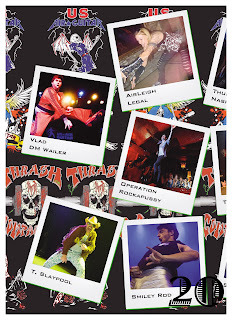 Note: Any changes to stage names were made after completion of the artwork.